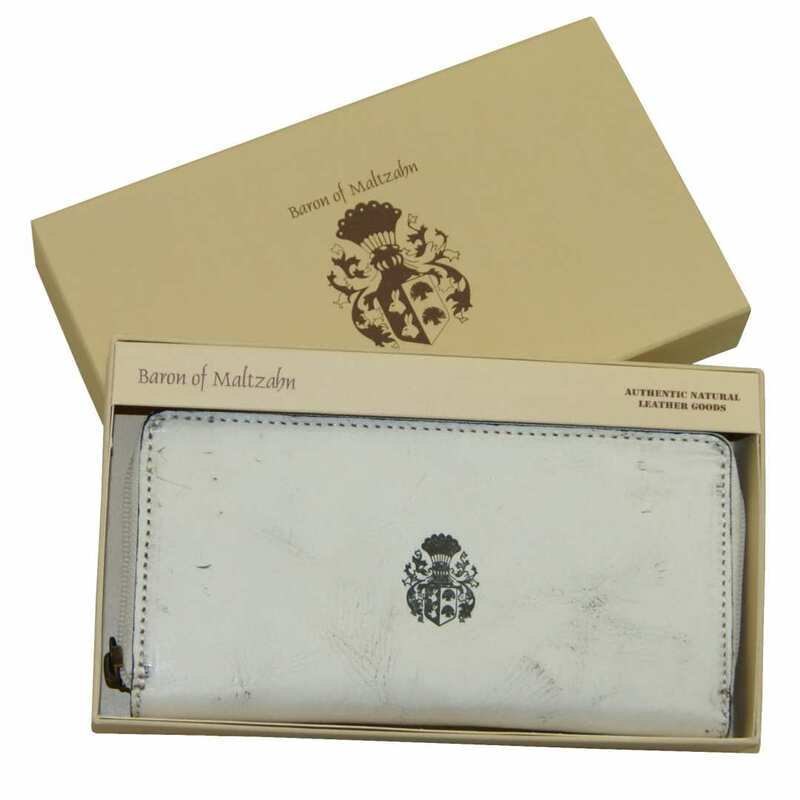 Product information "Women's wallet VON SUTTNER of dusty-white leather"
Are you looking for a wallet, that nobody else owns? 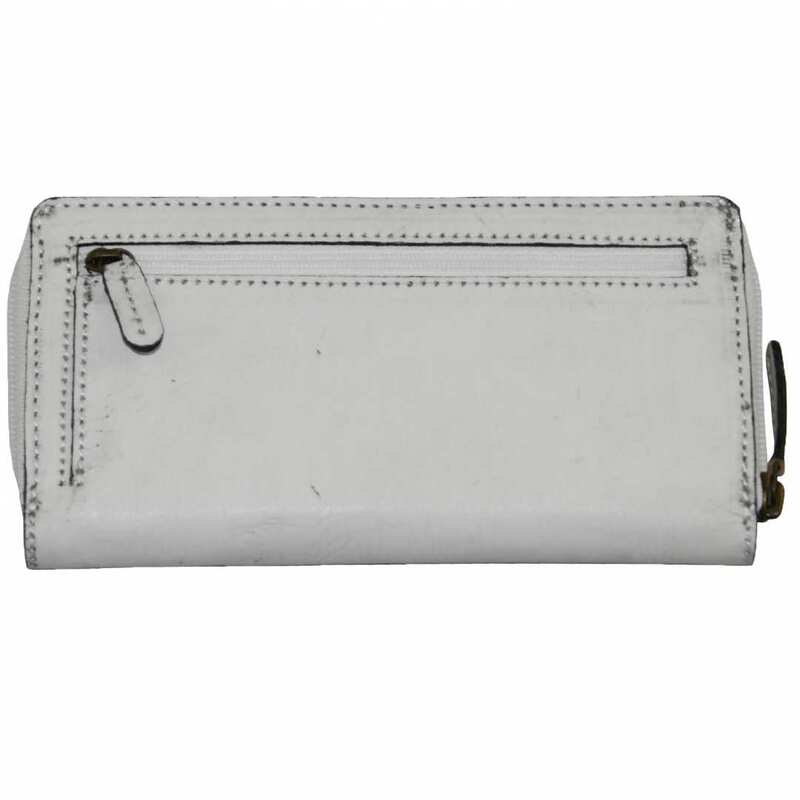 Then take a look at the women’s wallet VON SUTTNER of dusty-white leather! 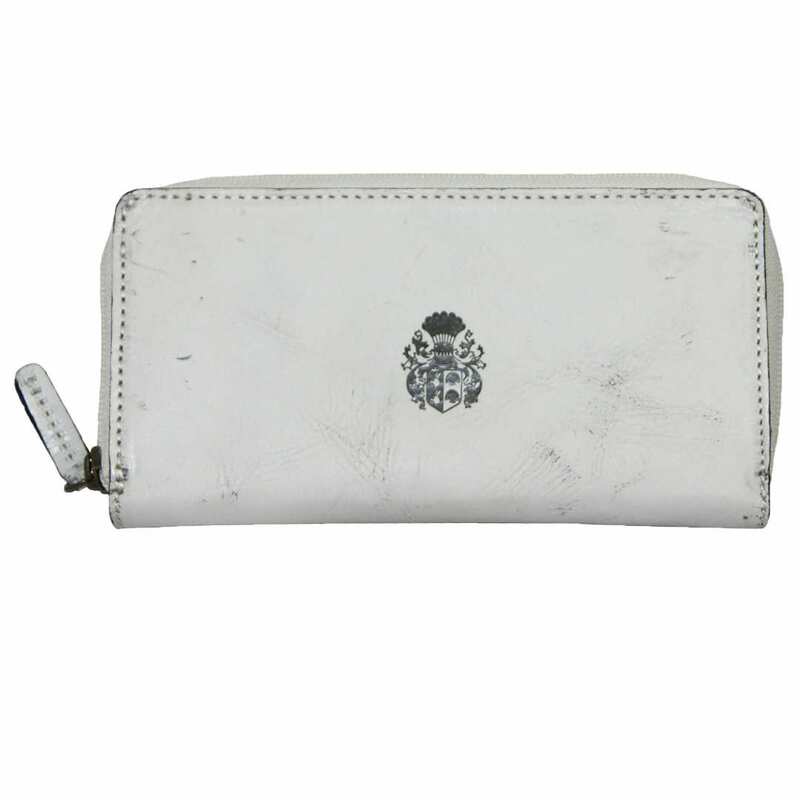 This money purse consists of white bovine leather which has been treated to show an ‘’old and used’’ look and is therefore absolutely trendy. 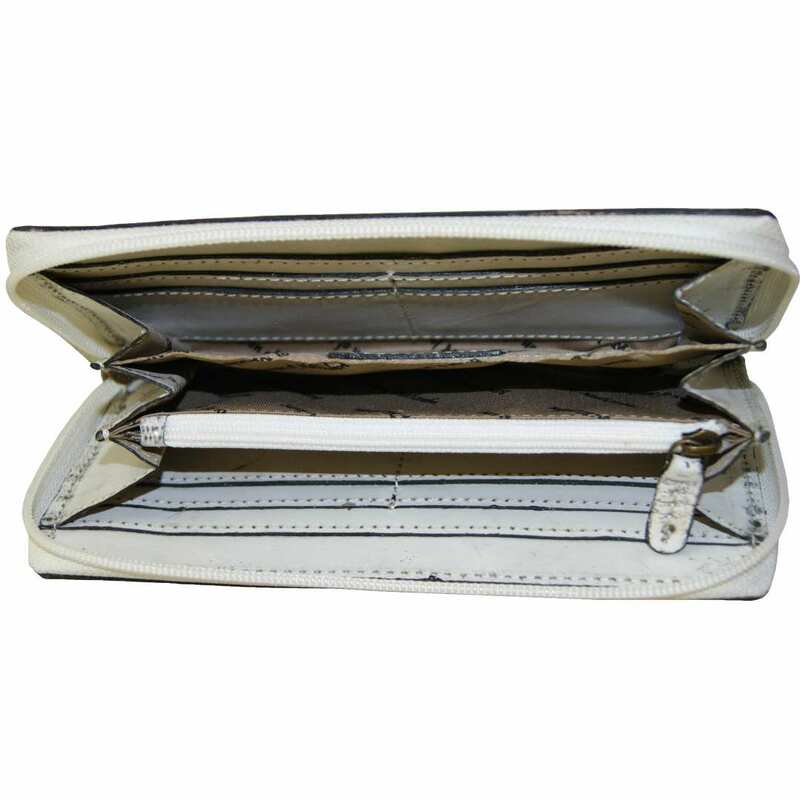 Here you can see a spacious long wallet with many card slots and coin pockets that provides every lady with much room for credit cards, bills, and cash. - delivery in a fine gift box – ideal to give as a present! Carry all your cards always with you! 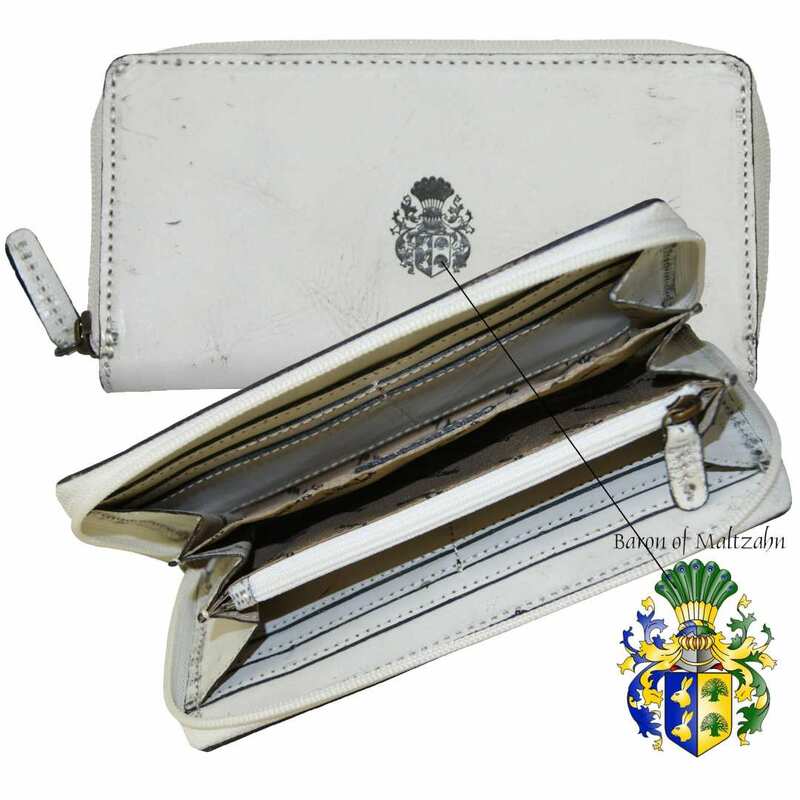 This money purse is divided into five sections: the protected zippered outer compartment can be used to store both coins and cards and the main compartment is also secured with a robust zipper. A third zippered pocket can be found on the inside and provides room for further coins and smaller items. 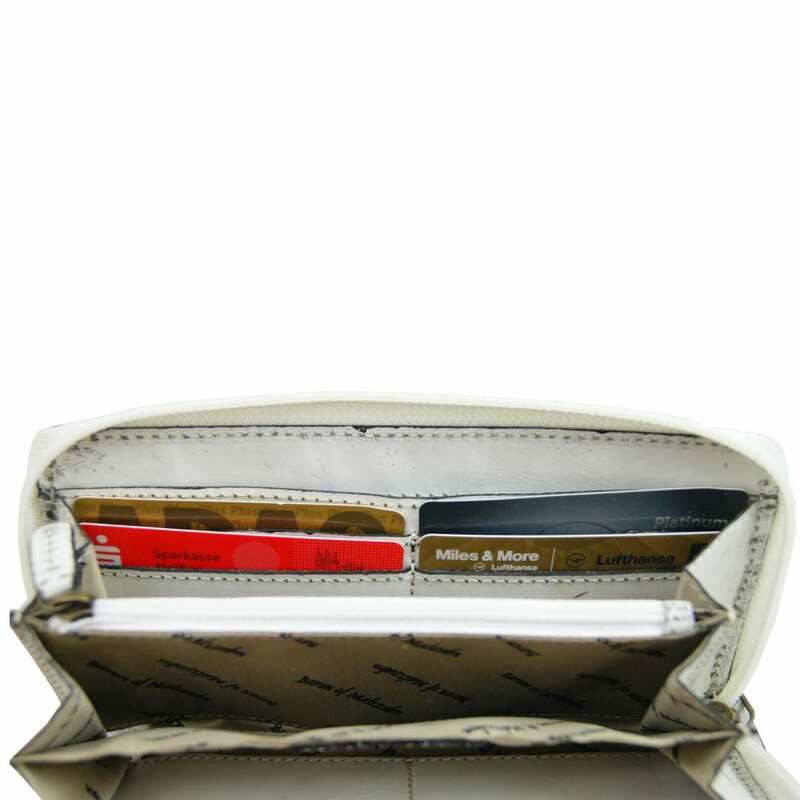 The various bill compartments also on the inside are ideal to keep further cards, cash and different documents well stored. Do you wish to give this fantastic purse as a gift? This won’t be a problem! 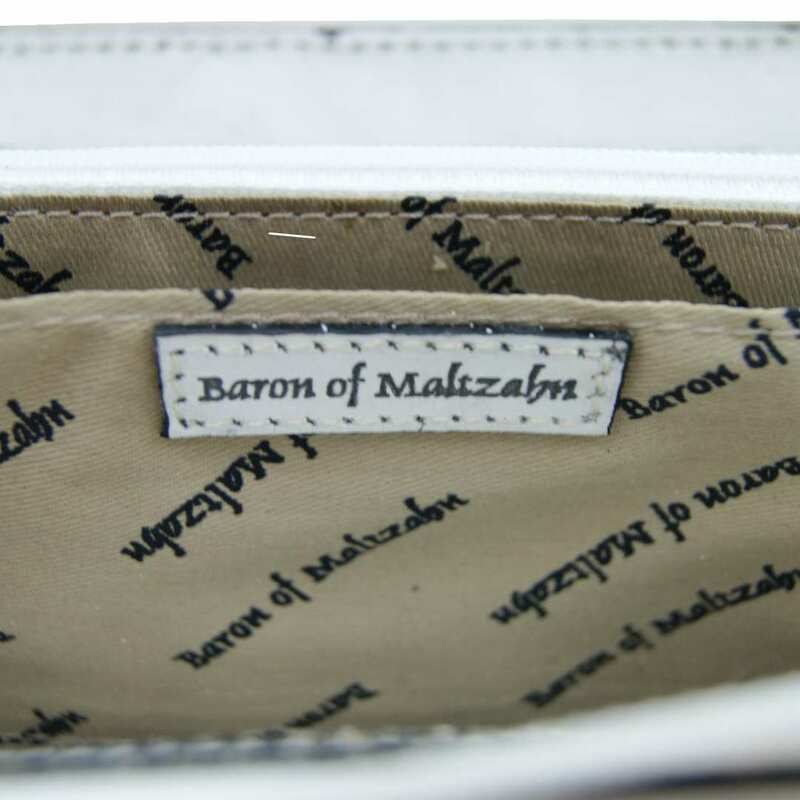 The delivery of this wallet is made in a fine box of cardboard that shows the original brand crest of the noble designer BARON of MALTZAHN. Do not miss this opportunity and order now the exclusive women’s wallet of dusty-white leather to make someone – or yourself – happy! Reviews for "Women's wallet VON SUTTNER of dusty-white leather"